If you thought Mrs. LanceAround was nervous about taking Grammy LanceAround to the film about gay senior citizens, you can only imagine how she felt about taking her to the documentary about the only [Editor’s Note: This film freely uses a word that is inappropriate for the family oriented LanceAroundOrlando blog, so we’ll just substitute this word instead] [Johnson] museum in the world. Imagine our surprise when we got to the theatre and discovered that most of those lined up to see the movie were older patrons, with as many females as males. This very well made documentary tells the story of the Icelandic Phallogical Museum in Husavik, Iceland, just 30 miles from the Arctic Circle. Directed by Jonah Bekhor and Zach Math, the film skillfully walks a fine line between the serious and the whimsical. Fortunately, it is very tastefully done, although inappropriate for all but the most mature audiences. There were many times during the movie when LanceAround was almost convinced the entire movie was a spoof. Although Mrs. LanceAround never doubted the sincerity of the documentary, she would often lean over and whisper, “You’ve got to be kidding me.” But, no, an extensive search on the internet reveals that it’s both true and serious. 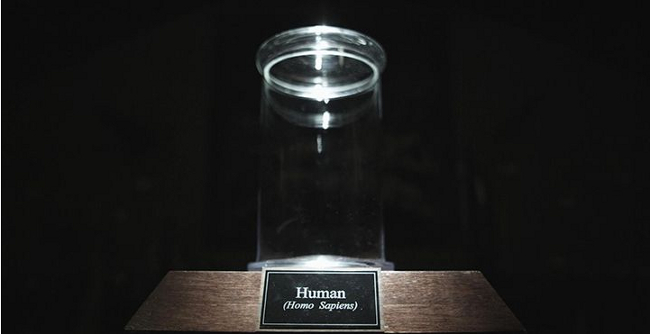 Most of the movie is spent chronicling the efforts of two men to become the first person to donate a human [Johnson] to the museum. One of them is a relatively famous Icelander who is over 90 years old. The other is a 50-something American who gets an American symbol tattooed onto his [Johnson] and is willing to arrange to make his donation prior to his death. Yes, you read that correctly. The audience ran the gambit from some members who laughed out loud during almost every scene to others who took it all in with a look of bemused surprise. This entry was posted on April 9, 2014 at 1:05 am and is filed under Art Community. You can follow any responses to this entry through the RSS 2.0 feed. You can leave a response, or trackback from your own site.